Another Market Selloff, A Bigger Warning Sign? - Dohmen Capital Research, Inc.
Another Market Selloff, A Bigger Warning Sign? Once again this week the markets plunged on a Friday, this time seeing the Dow plummet 767 points intraday. Amid all the geopolitical risk and tariff threats, the investment markets are experiencing volatility many experienced and seasoned investors have never seen. 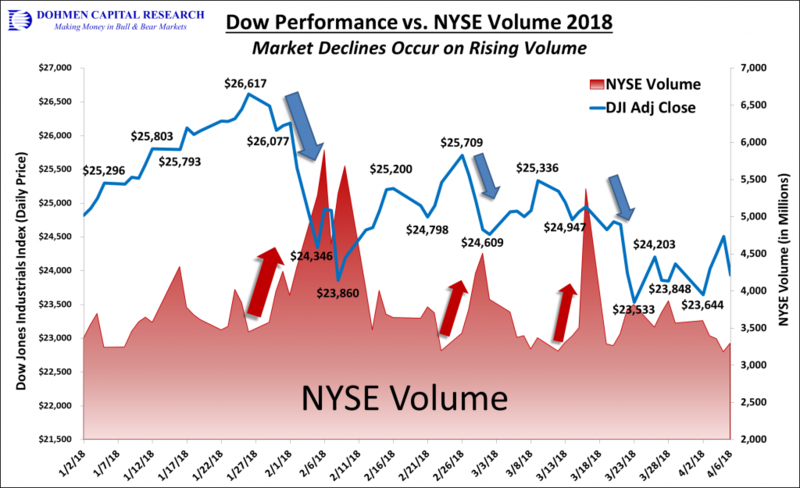 When analyzing the price/volume trends, we see incredibly important signals in our technicals that suggest perhaps the bull market could be running out of steam and we may have already seen the highs of the year. 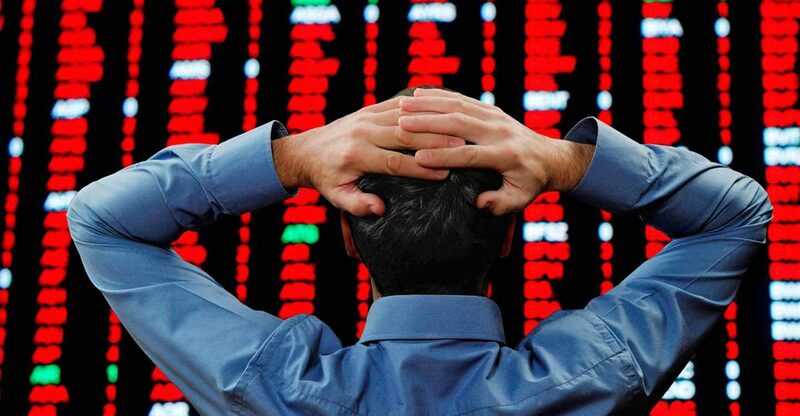 When the DOW plunges more than ​​750 points in a few hours as it did ​on Friday, ​April 6th, do you start to worry? Do you contemplate whether to start selling, or perhaps go bargain hunting? If you decide to buy, is it a guess or do you have solid reasons? Wouldn’t it be nice to have an accomplished professional with more than 4 decades of experience using advanced technical analysis to give you timely guidance? Better yet, wouldn’t it be nice to look at a model portfolio created and guided by a Pro that you can replicate for yourself? That would be heaven, wouldn’t it? Where do you find such sought after professional guidance? Cocktail party talk is a poor source. As smart investors know, “free advice” is usually the most expensive. In the markets, long time experience is absolutely essential. But that is only the first qualifier. Then you have to look at past records of catching important turns, not by luck but for good reasons that the majority of analysts missed. Because the majority of investors are not successful, you want to find someone who is not afraid to go against the crowd. The founder of Dohmen Capital Research and Dohmen Strategies, LLC, legendary analyst Bert Dohmen, has an incredible long-term, 40-year track record of prescient, timely ‘contrarian’ forecasts. What Do We See Now? Our work shows that volatility has returned and will remain throughout the rest of 2018. The market action we’re seeing now is reminiscent of ahead of the 1987 crash, although the outcome could be different this time around. We have also seen a number of “Bull Traps”​ made over the past several months, which have been big warning signs for us and our clients. ​So how do you protect your wealth from falling into these traps when markets rally off of new lows or right after a big selloff day? ​If you are in the wrong sectors and investments, you could incur big losses instead of profits. There are two factors that could ​cause great pain for those who are not prepared. No, it is not rising interest rates or over-valuations of stocks. Out of courtesy to our valued members, we cannot give them here. However, when you become a member, you will find out what warning signals to look for in the market. In fact, we’ve guided our members through incredibly uncertain times over the past four decades. Although there is never a guarantee, advanced technical analysis has enabled us to catch some of the most significant market declines we’ve seen since 1977. 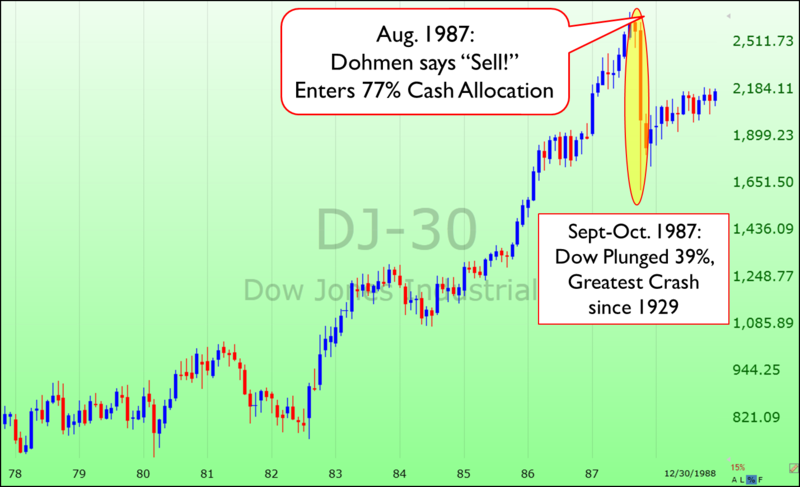 For example, about 5 weeks ahead of the 1987 Crash, we advised selling and got to 77% cash just when bullish investment sentiment went to a new high. We didn’t “know” there would be a crash, but technical analysis gave us warnings that big money flows were going out. That was followed in October 1987 by the greatest crash since 1929. Such forecasts have made and saved our ​clients literally fortunes over the years. That’s why we have the greatest ​client loyalty in the field. Deciding what sectors may have great opportunities and which to avoid is the key to the success of your investments. For example, there was a time in 2017 when the stock market looked precarious. We had shifted more allocation to T-bonds, which performed very nicely during the time of great stock market weakness. When our signals turned bullish for stocks again in​ September 2017, we immediately took action and substantially started shifting from T-bonds to stocks. It was very rewarding. 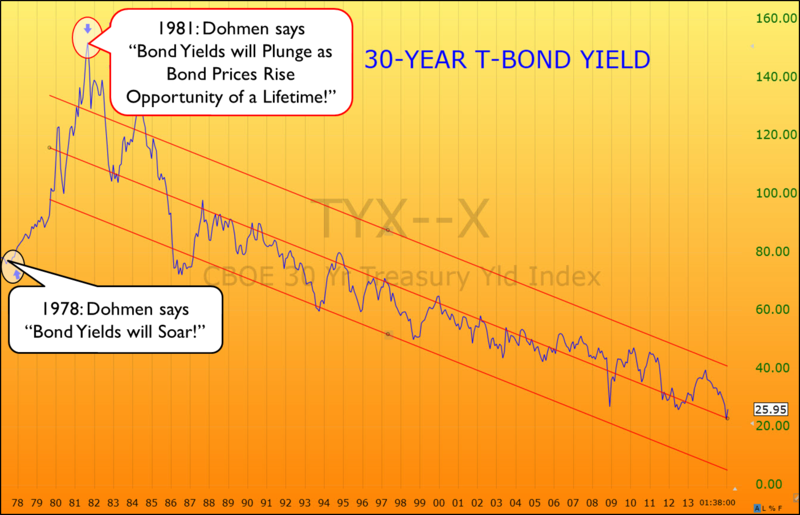 ​In 1978, we had warned that T-bonds would decline by 40%-50% because inflation would soar. Wall Street analysts called that forecast ludicrous. They actually declined by 44% over the next two years. ​We were​ right. Wall Street was wrong. Catching the big turns is what gives you the significant profits. When our work showed that bond prices had bottomed in 1981, with T-bond yields at 15.75% and their prices at record lows, we said an “Opportunity of a Lifetime” was presenting itself. We recommended a mutual fund investing only in “zeroes” of T-bonds and said they might appreciate 10-20 fold (zeroes are bonds with their coupons removed). W​ere we correct? Yes! Actually the 36-year bull market since then gave these zeroes a 40 fold appreciation. One client financed his 3000 acre development of upscale homes with his leveraged T-bond position profits. Another valued client, a board member of a mid-west bank, told us that our forecast “saved his bank” in 1981 as they were going to dump their portfolio of bonds with big losses when our “buy” signal was given. They held and recovered the losses. 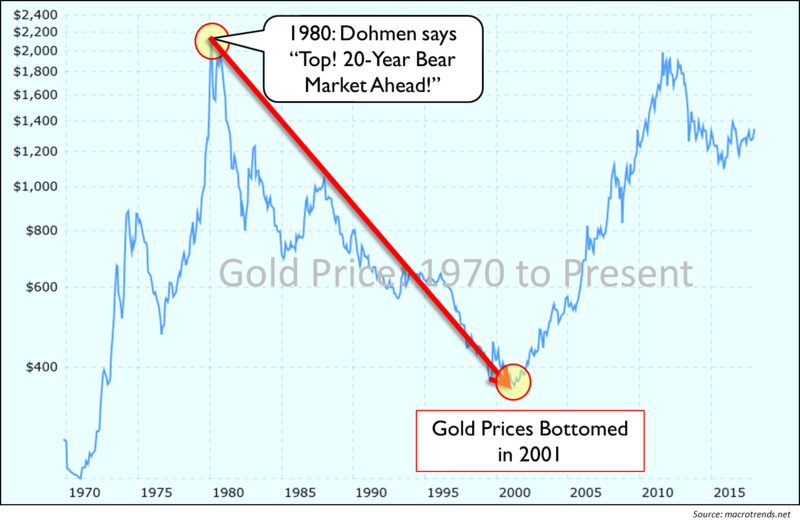 In 1980, after ​our recommendations on gold and silver had made extraordinary profits, ​we called a top in the precious metals bull market and predicted a 20-year bear market for the precious metals. That signal was greeted with great skepticism. Most analysts at the time said the bull market had much further to go and gold could go to $3000. We were correct? Gold started its bear market from the high of over $800 in 1980, continuing for the next 20 years, declining to about $250. That bear market bottomed in the year 2000. The next year gold embarked on a meteoric rise. In fact, we had predicted that the bull market that would follow could last 30 years. If we are correct once again could be in the middle of that right now. What do we say now about ​the latest selloff in the stock market? Our clients know. In fact, the analysis and guidance we provide our ​to our ​HedgeFolios members is probably the most important ​they have ​received in years. We explain​ the important clues we see in our advanced technical indicators as well as examine the major macro and geopolitical risks that will impact the markets.